The eleventh house is called house of gains. When the ascendant lord placed in the house of gains the native gets lots of gains in his life without much difficulty. This is considered one of the most favorable positions for the ascendant lord. If the ascendant lord is aspected by a benefic planet, the results are doubled. Eleventh place represents the elder siblings also. The native will be having good relationship with his elder siblings. They will get profited from the native. Ascendant lord Mars will be placed in Aquarius. 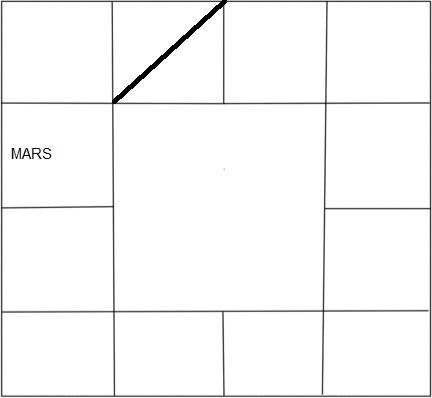 This is enemy house to Mars. . Aries is a movable sign. Eleventh place becomes pathaka sthana for this ascendant. So, Mars becomes weak here. So, Mars gives moderate results in this house. 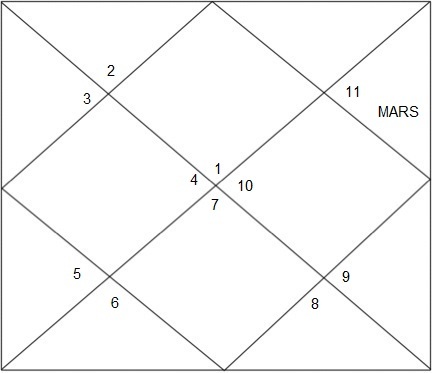 Since Mars is the karaka for siblings, the siblings of the native get benefited from the native If Mars is placed in 4thquarter of Dhanishta/Avittam or 2nd quarter of Shatabhishaa/Sathayam or 1st quarter of Purva Bhadrapada/Purattathi then it performs well. Ascendant lord Venus will be in Pisces. Venus gets exalted in Pisces. This is very favorable position for an ascendant lord. The native will be very lucky. He will achieve things very easily in his life. Gains through women, arts, cine field is expected. The native may be having more elder sisters. But if the Venus is in 2nd quarter of Uttara Bhadrapada/Uththirattathi nakshatra results are reduced. Mercury will be in Aries. This is neutral sign for Mercury. The native gets gains through commission based agencies, auditing, teaching, communication etc. His maternal uncle will be favorable to him. If Mercury is placed in 3rd quarter of Ashwini or 2nd quarter of Bharani nakshatra then Mercury gives good results in his dasa period. Moon will be in Taurus. This is exaltation sign for Moon. So, Moon gives very good results here. The native gets gains from mother, maternal relations, elder sisters, foreign related business etc. eleventh place represents second wife also. So, the native get gains from second wife, if he is married twice. Since Cancer is a movable sign, the eleventh house is pathaka sthana. There would be some problems to the native because of this. If Moon is placed in 2nd quarter of Rohini nakshatra then results are doubled. Sun will be Gemini. This is neutral house to Sun. The native gets gains from father, government projects, administration etc. He can become a politician also. It makes the native a dominating charcter. If Sun is placed in 1st quarter of punarvasu/punarpusam it gives very good results. Mercury will be in Cancer. This is enemy house to mercury. The native gets gains from maternal uncle, foreign travel, commission based agency etc. He may have good intelligence to achieve things. If Mercury is placed in 2nd quarter of pushya/pusam nakshatra then Mercury gives good results during its dasa period. Ascendant lord Venus will be in Leo. This is enemy house to Venus. Since Libra is a movable sign, eleventh house becomes its pathaka sthana. The native gets benefit from wife, arts, cine field, women, government projects etc. If Venus is placed in 2ndquarter of Magha nakshatra or 3rd quarter of Purva Phalguni/Puram nakshatra then it gives good results. Mars will be in Virgo. This is enemy house to Mars. The native gets gain from elder brothers, maternal uncles, lands, immovable assets, etc. If Mars is placed in 2nd quarter of UttaraPhalguni/Uththiram nakshatra or 1st quarter of Hasha nakshatra then it gives good results to the native during its dasa period. Jupiter will be in Libra. This is enemy house to Jupiter. The native gets gains from educational institutions, religious institutions, teaching, children etc. If Jupiter is placed in 1stor 4th quarter of Swathi nakshatra then it gives very good results in Jupiter dasa period. Saturn will be in Scorpio. This is enemy house to Saturn. Since Capricorn is a movable sign, this is pathaka sthana for the ascendant. This gives some obstacles in native’s life. The native gets gains from long term projects, politics, mortuary, blue collar jobs etc. If Saturn is placed in 3rdquarter of Anuradha/Anusham nakshatra or 3rd or 4thquarter of Jyeshta/ Kettai nakshatra, then it gives very good result. Saturn will be in Sagittarius. This is neutral to the Saturn. And the sign lord Jupiter is a natural benefic. So, Saturn tends to give good result in its period. The native gets gains from long term investments, public support, politics etc. If Saturn is placed in 3rdquarter of Poorva Ashada/Pooradam nakshatra then it gives very good results during Saturn dasa. Jupiter will be in Capricorn. This is debilitation sign for Jupiter. Jupiter loses its power in Capricorn. The native may not have any elder siblings. A debilitated planet in eleventh house spoils that sign. But since Jupiter aspects the 3rd 5th and 7th house his younger siblings, children and wife will be favorable to the native. 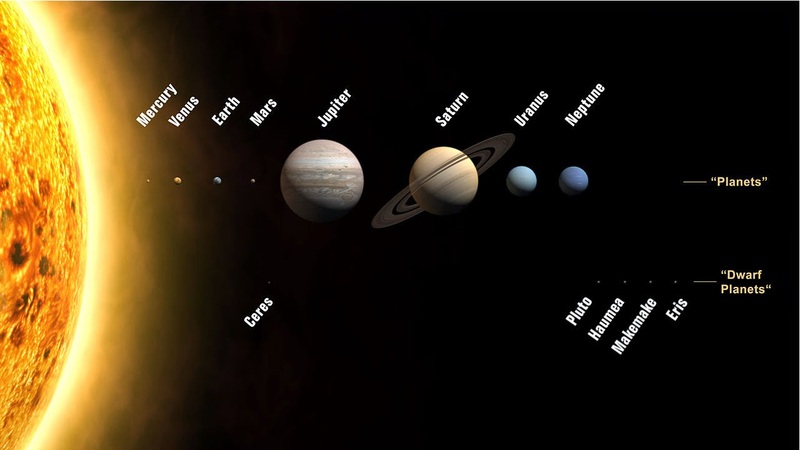 If Jupiter is placed in 4th quarter of Uththara ashada/Uththiradam or 4th quarter of Sravana/Thiruvonam nakshatra then it may produce good results.